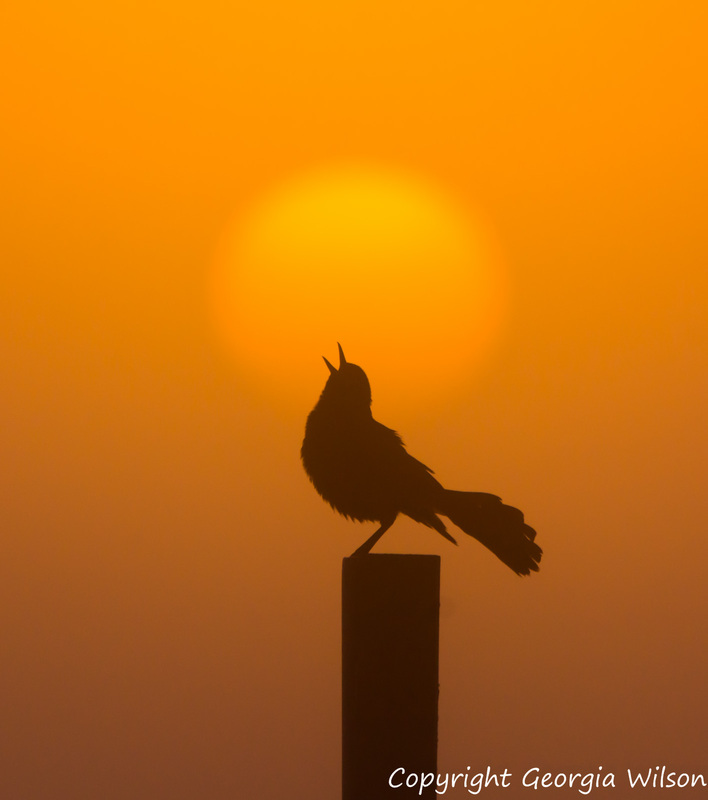 A Boat-tailed Grackle welcomes the morning. Taken at sunrise, Viera Wetlands, Viera, FL. Taken with Nikon D7100, Sigma 150-500 mm lens.